Find below the list of top CISCE / ICSE schools in Hadapsar - Pune with phone number, address, 360° School tours, 2018-19 Admission forms & Fees, photos, facilities & more. Welcome to Vidya Pratishthans Magarpatta City Public School, Pune. We hope that your fact-finding mission about our school ends with a strong sense of MCP Schools warmth, our accomplished and dedicated faculty and our commitment to providing students the attention needed for them to actively engage in their own learning. The Pawar Public School is managed by the Pawar Public Charitable Trust, which is an organization that focuses on the needs of the less privileged sections of the society. As a part of the trusts mission of serving the community at large, the trust has started an ICSE school at Bhandup, Mumbai in 2006.\nThis school at Bhandup, is the flagship school of the Pawar Public Charitable Trust. 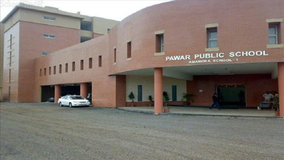 The Pawar Public School, Pune is the second school of the trust which commenced in March 2008. The third school at Kandivli West, Mumbai commenced in March 2010, followed by fourth, an ICSE school in Chandivali, Mumbai.\nTwo new schools are now added to Pune. The Hinjewadi Branch of PPS began functioning in June 2012. A new branch at Nanded City on Sinhagad Road will begin in June 2013. \nOur school is dedicated to provide all round development to the child and not merely follow a textbook oriented approach. The school is affiliated to the Council for the Indian School Certificate Examinations. The medium of instruction at the School is English.\n\nThe school has classes from Nursery to Grade X. Although there are many top CISCE / ICSE schools in Hadapsar - Pune it is not necessary that each one is suited to your child's needs. That is why you need to analyze and consider every factor about the best CISCE / ICSE schools in Hadapsar - Pune before settling for one. Sqoolz's list of best CISCE / ICSE schools in Hadapsar - Pune makes this job easier for you. Find every detail that is necessary before choosing the right school. You can also take our virtual tour, a feature solely designed to give parents a sense of assurance.